In just two days, strategic sourcing pundits from Source One will be joining a long list of industry leaders at Corporate United’s Procurement Excellence in 2016 event at the Pro Football Hall of Fame in Canton, Ohio. Throughout the day attendees will spend time networking with industry peers, hearing from procurement thought leaders, and experience an exclusive interactive Pro Football Hall of Fame theater experience. In addition to the hearing from Corporate United’s COO, Doug Blossey, attendees will learn more about the state of procurement from MRA Global Sourcing’s Managing Partner, Naseem Malik. As the keynote speaker Malik will share his predictions into the future of procurement and how it will impact strategic sourcing and procurement talent management. 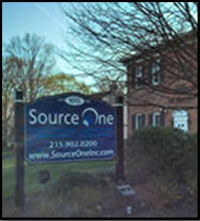 As a strategic sourcing partner for CU, and the premier telecommunications management provider for its members, Source One looks forward to engaging with other members of the group purchasing organization and learning more about the cost savings opportunities Corporate United offers clients.